LHC@home and Gridcoin. 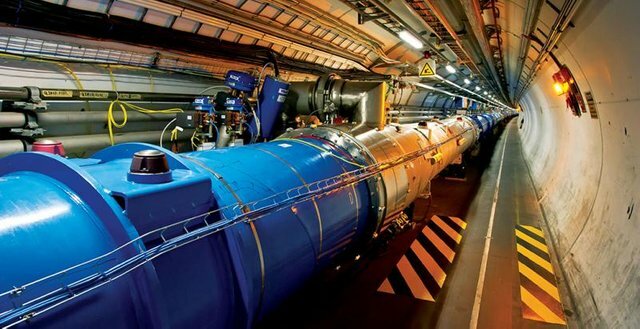 Large Hadron Collider experiments connected projects ahead. Maybe all of you have heard about the Large Hadron Collider, which is the most powerful and the world's largest practicle accelerator. It is located in CERN, close to Geneva, Switzerland and consists of a 27-kilometre ring of superconducting magnets with a great number of structures, used to accelerate and to boost the energy of the particles all way along the ring. How Gridcoin helps the LHC? 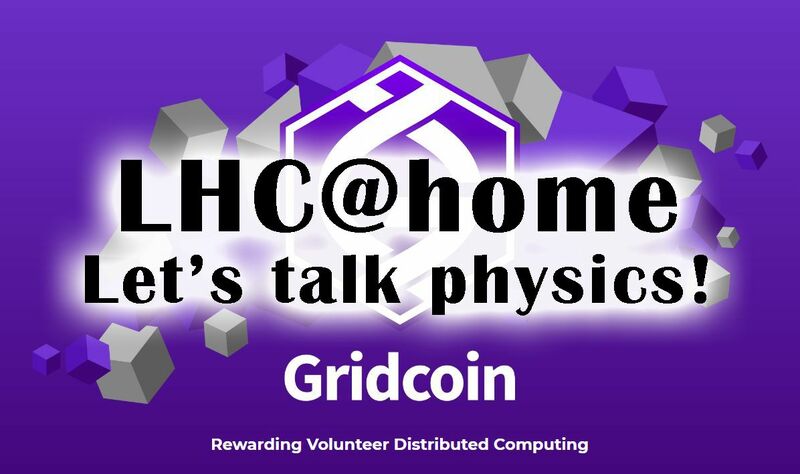 The LHC@home project is whitelisted in the Gridcoin projects. You can easily take part in the LHC experiments by using the BOINC client and choosing the LHC@home project from the list. You can quickly start sharing some of your computer's idle resources and computation power. By doing so, you volunteer your "work"in advantage of some projects currently running in CERN. Some of the greatest and monumental discoveries about the Universe we live in are in direct charge of the collider and its running projects. Whether it comes to calibrating searches for particles, fine-tuning the machines and beam dynamics, contributing to building some new theories on dark matter, or creating simulations of the mysterious antimatter, your help will be gratefully accepted. What projects does LHC@home consist of? ATLAS is particle discovery project, which uses high speed collision of protons. During the first three years, petabytes of information were recorded and processed. The tests continue and of course, they need some not very minor resources in order for the project to be complete. This projects deals with some particles literally absent from our Universe today. The ‘beauty (b) quarks’, as they are called, existed in the aftermath after the Big Bang. They are generated in their billions by the collider in CERN, along with their antimatter counterparts - the anti-beauty quarks. Deals with a completely new, unpredicted phenomena. It is linked with the searching of extra dimensions and particles that could make up dark matter. Although having the same scientific goals as the ATLAS project, it uses different solutions and a different technical magnet-system design. Currently this experiment is among the largest international scientific collaborations in history, involving 4300 different scientists, technicians, students and support staff from 42 different countries. SixTrack is in fact an application that runs the simulation of 60 particles at the same time as they travel around the big ring, and runs their simulation for 100,000 loops (or sometimes 1 million loops) around the ring. This may sound a lot, but is actually run in about 10 seconds. You can guess how much information has to be processed. The Test4Theory project deals with simulation of high speed collisions of particles. These simulations use theoretical models, which are based on the Standard Model of particle physics. They are calculated using the methods, called "Monte Carlo". The theoretical models have variable and adjustable parameters and the aim is that a given set of parameters will eventually fit the widest possible range of experimental results. If you want to be directly involved in the CERN projects, you should do it now. Gridcoin network of course, will be very grateful and reward you with some valuable Gridcoin. Think about using your computer's resources about something significant and huge and not only wasting it in pointless coin "mining", which is a typical scenario of the mining cryptocurrencies. See ya! And thanks for helping science!